Incredible value on this light filled end unit townhome, private front gated patio with deep set back with lots of landscaping surrounding the townhome. 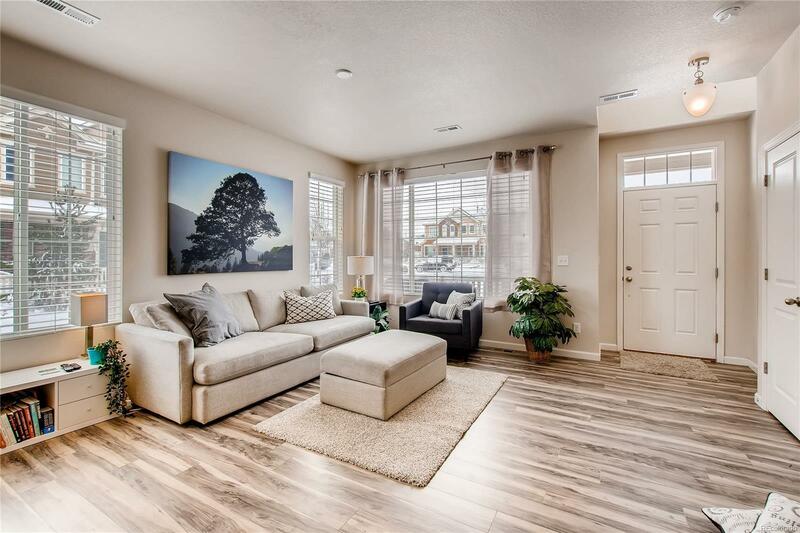 Open main floorplan with large living room and separate dining area, beautiful kitchen, very sharp look with the bells and whistles- stainless, granite, crown molding, gas range, breakfast bar. Generously sized dual master suites, ample walk in closets on upper level with mountain views. Conveniently located laundry on upper level. Oversized two car garage with addition storage and private back driveway with easy guest parking around building.